William C. Diaz-Rousselot represents automotive dealerships, focusing on the areas of litigation and regulatory compliance. Prior to joining Kurkin Forehand Brandes, William served as in-house and as Compliance Officer for one of the larger automotive dealership groups in the South Florida market. As Compliance Officer, he developed and managed the Group’s compliance programs, such as their Identity Theft Prevention Program and Safeguards Program. In addition, Diaz-Rousselot advised the dealership group on OFAC compliance, compliance with Florida’s various Consumer Protection statutes, and on documentary compliance, as well as on matters pertaining to worker’s compensation. Prior to becoming in-house counsel, William practiced for over a decade in the area of insurance defense, specializing in workers’ compensation defense. He is a member of The Florida Bar Association, as well as a member of the United States District Court, Southern District of Florida. William has a bachelor’s in English from Florida International University and a J.D. from the St. Thomas University School of Law. He is an alumni of Christopher Columbus High School. In addition, William serves on the Board of Trustees of the South Florida Progress Foundation. He served as President of the FIU English Alumni Group, raising funds for the University’s English Department. 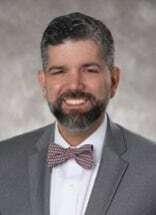 As a graduate of the Greater Miami Chamber of Commerce's Leadership Miami, 2010-2011 Class, he has served on the Executive Committee and continues to work with the Program.